Traditional lenders are transforming, adopting cutting-edge technology to stand apart from competitors and introduce an added level of security to financing. From AI-run algorithms to smart contracts, obtaining a mortgage could soon be a vastly different process than buyers experienced just 10 years ago. Industry disruptors, however, are looking to shift from the traditional model completely, threatening to take over the role typically performed by bank intermediaries, which buyers are accustomed to. One new business claims it is the first company to apply blockchain to mortgages. Block66 is a blockchain-based marketplace for lenders, from which they can access vetted buyers looking to finance their mortgage. Co-founded in 2017 by CEO Joe Markham, CPO James Tuckett and COO Kamil Mieczakowski, the platform is set to launch in early 2019. The most significant benefit the company is advertising? Reduced risk for mortgage fraud. Additionally, Block66 states the addition of blockchain to a real estate transaction will reduce costs for buyers, as they will not have to be vetted via banks; instead, applicants’ information will be made public to any lenders using the platform. Block66’s loans, which will become asset-backed tokens, will reportedly play a role in leveling the lending playing field, allowing all types of investors (not only big banks) to participate, and giving way to increased applications for buyers who would not be considered worthwhile by larger banks. The risk? 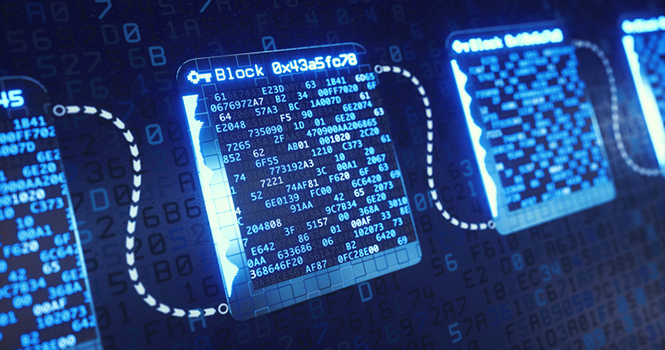 While bank intermediaries are often more costly—resulting from the manpower needed to not only vet candidates for creditworthiness, but to ensure financials are in order and paperwork is completely submitted—they often add another layer of security to the transaction that the new technology cannot be trusted to replicate at this time. Often, these banks become reliable vendors for real estate agents who have partnered with them, providing buyers with vetted mortgage lenders who not only get clients to the closing table, but also prioritize customer service and become community resources. There are other challenges, as well. Smart contracts are not yet recognized by courts on a global level, an obstacle for Block66 when transacting across borders. Additionally, while applicant and property information is publicly displayed on the blockchain, the technology is still new, adding uncertainty into the equation for smaller banks who do not typically risk lending long-term loans. Applicants may still find ways to bypass this technology-based security and fraudulently represent the assets or financial history necessary to buy.